The International Space University is given funding from industry and government agencies to help support MSc students who are unable to cover all of their tuition fees. This aid is available to selected applicants, and covers a portion of their fees. It is paid directly to ISU by the sponsoring organization. Applicants for the MSc programs 2011-2012 should apply online on the ISU website before 15 March 2011 if they wish to receive a scholarship, or before 30 June 2011 if they are not in need of financial support. Financial aid will be awarded within the limits of funds available, so early applications are highly recommended. Scholarships will start to be awarded in December 2010. Please note that the relevant box on the Confidential Financial Information form of the application must be checked. It is recommended that candidates make a personal effort to raise funds enabling them to attend the program. Such initiatives are taken into consideration when ISU allocates funding. When submitting your application to ISU, please don’t forget to attach your resume. Your resume may be given by ISU Staff Members to sponsors. However, ISU will not give its sponsors contact information, but will try its best to match applicant’s profiles to sponsor requirements. The ISU Funding Committee, which includes both faculty and Sponsors, awards funding to applicants whose career goals appear to stand to gain substantial benefit from the ISU MSc programs. Funding is given for help towards tuition fees only. ISU does not assist with living or travel expenses. 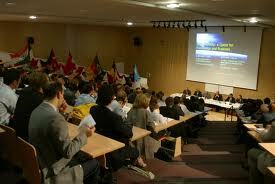 Demikianlah informasi mengenai MSc Scholarships, International Space University, France semoga berguna bagi anda. The international scholarships which are we getting in a right way are very helpful for the poor student and then we are also giving from the Hp Support. Satisfied to see you could give us this survey here. However, I need some assistance at edubirdie review, though I do value this, also. These surveys are elusive on the web, so I want to see more come from you here. You would get this scholarship if you would write the best essay! take a look here and you will know how it should be written! Another major reason for using online plagiarism checker is that universities do not accept plagiarized content. Plagiarism is a serious offence. Hence, if found, the students are suspended or might even lose the grades. Due to these limitations, it is evident that the plagiarism checking & wordcounter are not at all effective to check plagiarism. The term plagiarism is actually very broad. It is merely not coping with words. But these tools, unfortunately, detect words but not ideas. Hence, the chances of plagiarized papers remain.